Here's a brief video to take a peek at…I've never met Jeff but look forward to meeting him one day. He's on the record with this video by saying WHY people don't engage in mission…he's saying something that is inherently provocative but also true…it has to do with the mindset of those who are called to do mission…you and me! So, take a listen…tell me (if you want to), do you agree with his assessement? 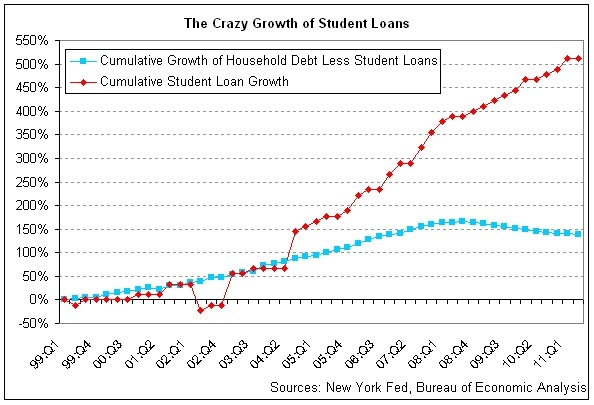 Massive Student loans…a crisis in the making and a crisis NOW! Scot McKnight (as usual…) is up on this one. He pointed it out on his very good blog today…student loans for college education have increased exponentially over the years. I don't think a week goes by where I don't have a conversation with a family member, former or current student or another faculty member who doesn't remark about this alarming issue. Here's a flashback – I attended a private, religous-based college. At the time, the tuition and costs were higher than any other educational opportunties that I had…I walked away from undergrad and graduate work with student loan debt. But paying $30 to $40 a month (in addition to the same amount per quarter with another loan) for 10 years was a burden but NOTHING compared with some I know who are leaving college with $40K, $50K up to $100K in loan debt. Now, I am a HUGE educational proponent…but the quesitons that some of this information is forcing us to answer is significant. What is a college education really worth? Is it worth a student entering the adult world after four or five years with essentially a home mortgage? How do or can families even help these days? With 401Ks and other investment issues tanking over the past few years, how can a family save up to $100-300K per student to cover JUST an undergrad degree? How can we make education more affordable? Is it even possible? How are the financial pressures from these types of obligations going to cripple a young person's growing life through critical first years of emerging adulthood? I don't have answers…this is a complicated issue. As the article also points out (you can see a sample of another article below), there is not "bankrupcy" out of this debt…the government will still go after you if you attempt to default. This is a signficant crisis…definitely worth your attention! If you want to get a name as an economic seer, try this one. The next subprime crisis will come from defaults on student debts, starting with for-profit colleges and rising to the Ivy League. The parallels with housing are striking. In both, the written warnings aren’t understood, especially on penalties and interest rates. And in both, it’s assumed that what’s being bought will rise in value, in one case the real estate, in the other the salaries which will accrue with a degree. One bubble has burst; the second is already losing air. Still, there’s a difference. With mortgage defaults, banks seize and resell the home. But if a degree can’t be sold, that doesn’t deter the banks. They essentially wrote the student loan law, in which the fine-print says they aren’t “dischargable.” So even if you file for bankruptcy, the payments continue due. Hence these stern word from Barmak Nassirian of the American Association of College Registrars and Admissions Officers. “You will be hounded for life,” he warns. “They will garnish your wages. They will intercept your tax refunds. You become ineligible for federal employment.” He adds that any professional license can be revoked and Social Security checks docked when you retire. We can’t think of any other statute with such sadistic provisions. Romanticized Discipleship, from "We need boring Christians"
“What are you doing this summer after classes?” a college student asks his friend late in the spring semester. In conversations like this, it is likely that the 20-year-old working with the electrician will feel spiritually inferior to the 20-year-old who has plane tickets in hand for Kenya. There is also the tendency for the guy with the ticket to feel as though he is a bit more sincere in his devotion to Jesus. Believe me, I do not wish to discourage young people from boarding flights to Africa. But I also do not wish to disparage electrical work as spiritually insignificant. Scripture calls us into radical service—but that does not allow others to eviscerate tedious, less “spiritually” glamorous tasks of their meaning in God’s Kingdom. Scripture also calls us to embrace the mundane and ordinary as holy and beautiful: “… aspire to live quietly, and to mind your own affairs, and to work with your hands” (1 Thessalonians 4:11). Many of us want to do something awesome, something epic. We tend to think that the more normal, the less “spiritual.” So it is quite possible that our aspirations to be radical stem from dangerous ambitions to perform biography-worthy feats of global glory. But radical discipleship is not adventure tourism. Following Jesus is not to be romanticized through impressive Facebook status updates or photos of exotic places on our blog. Discipleship is often ugly, messy and painful. Faithful service will regularly lead us into dull labors and bewildering struggles that would make unexciting press. To romanticize social justice or cross-cultural evangelism is to promote an idealism that will be inevitably vaporized on the field, inadvertently leading to burnout and cynicism. The first person to be filled with the Holy Spirit for a task in the Bible was not commissioned to lead a battle or to prophesy over Israel. Bezalel (ever heard of him?) was filled with the Spirit to build stuff. To make art. To carve, mold and weave. He was the guy God commissioned to build the tabernacle and its accoutrements (Exodus 31.1-5). Spirit-anointing does not always propel us into radical action. Instead we may find ourselves entrusted with tedious, meticulous handiwork that feels … well, boring…“What ever you do, work heartily, as for the Lord” (Colossians 3:23). Remember how Jesus calls us to faithfulness in the small things (Matthew 25:14-30). Aching for yonder shores and longingly scanning the distant horizon may well be God’s call on our lives. But it also may be our impatience with the monotonous minutiae of the daily grind. Escapism is not fulfilling the great commission. Regardless of our location, abroad or at home, all ministry is inescapably local. Every worker in a global context must embrace the monotonous minutiae of a new daily grind after the plane lands—figuring out the postal service, dealing with the cell phone company, conjugating verbs in the slow and tedious study of the language. If we cannot be faithful to do our statistics homework or collaborate with our coworkers, then we may lack the strength of character required for dealing with the meticulous annoyances of a more radical life beyond the romanticized horizon. 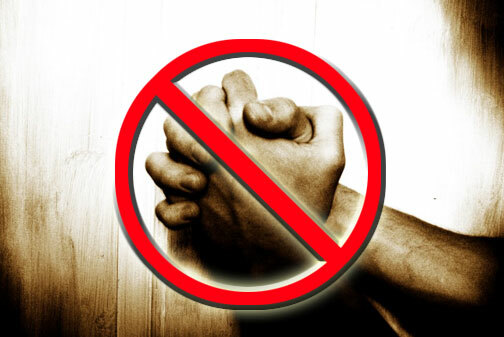 Here’s a quick summary of what many of us experienced in our past – we heard prayers, we heard our pastor pray, we read prayers…but no one ever asked us to pray a prayer other than a quick bedtime, mealtime or recitation of the Lord’s prayer. Like I said, there’s nothing wrong nor is my heart judgmental in this regard. All I know is that I had an experience early on in my following of Jesus as Lord where I was asked in a group setting to participate in a group prayer…I did a quick dip stick check of my inner prayer resources and came up a few quarts low. Truth is, in that situation, I was sweating bullets. I had no idea that people prayed…that they prayed out loud…in relationships simply talking to God. I’m not faulting anyone…all I know is that in MY tradition, that wasn’t the habit…that wasn’t the expectation. So, when I was in high school, I enrolled in a “school of prayer”…no, not a literal school but I did read the bible about how Jesus taught His followers to pray, I read a couple of books, did some prayer journeys with others and asked questions and listened. Slowly but surely prayer moved from being a chore or something only to be done in a formal worship service when someone with the right credential was around to being more of a daily exercise that became as natural as breathing. Today, prayer is a varied but foundational experience in my life journey in the Lord…it is far from predictable or mono-facited…sometimes I write out prayers…sometimes I read prayer (through services, prayer books, and the offices)…sometimes I don’t say a thing in words and just sit in silence…sometimes I’ll use a “paradigm” of comprehensive prayer (e.g. the Lord’s Prayer or A.C.T.S. or T.R.I.P.) and talk to God that way…I still listen to people praying and learn something new everytime. What concerns me most in the life of a faith community (i.e. local church) is that when people are not taught how to pray, how to “own” that prayer life and given challenges to grow in prayer, we miss out on teaching them and exposing them to the deeply relational aspect of our faith journey. Without that relational factor, the faith journey is essentially bankrupt…it is purely cognitive experience devoid of the connectedness to God that brings and sustains life. Try this out sometime – don’t talk to your spouse (or best friend, boss, or even children) for a few days…or better yet, write down three or four sentences and repeat them exclusively for a week or so and see how that works out relationally for you. You know what will happen…you don’t even have to jump into those waters to discover it. The relationship will start to falter and, worse yet, it will damage you more. Over time, you’ll check out of the relationship because you believe that your quick repeated sentences have fulfilled your relational obligation. The same is true for prayer…without teaching people how to pray…without modeling a vibrant experience of conversation and connectedness to God, we are essentially damning people to a less than fulfilling walk with the Lord. So, I've been thinking about this all week since last Sunday, a lesson well learned…again. Watched this video several times…actually, this song is one of my favorite Tommy songs. We haven’t “done” it yet at our faith community because it takes a certain instrumentation to make it work (at least in my humble mind). But I love the fact that it is being shared in the middle of an Eucharistic service…yep, you see people taking communion as the priest (fully ecclesisiastically garbed I might add) distributing communion…a lady singing at the lecturn and a choir singing worshipfully behind the altar. I’m not going to make any other comment about this…that’s the bottom line. All I know is that all styles of singing and worshipful expressions of people’s passion for Jesus and the Kingdom can and should be part of what it means to take a worship journey. Ok, that’s it…here’s the song. You can also watch ANOTHER VIDEO HERE which is Tommy actually singing the song off his “I have a Hope” CD. I read a magazine article a couple of weeks ago…in fact, I've had an e-copy of the article on my desktop and I look at the title every so often – "Is your church too cool?" Here's my quick take on this article – first of all, if you want the full article, email me. I'll shoot you a copy…if you don't, that's Ok because I'll give you a quick summary of it straight from the writer's keyboard (so to speak). I gave up trying to be cool…I realized a few years back (after I started going over the hill age-wise and grasping some realities of my life) that I cannot be cool any longer. I might have been at one time…I don't know. And frankly, I cannot guess if I was or not – coolness is game. Coolness isn't the goal of life…it just so happens to drive many cultural standards because "coolness" equates with acceptance, popularity and a sense that "I am important because people think…" Coolness is attractive. Yes, I confess that I evaluated my "coolness" quotient for more time than I want to admit…I think everyone of us do in one way or another. 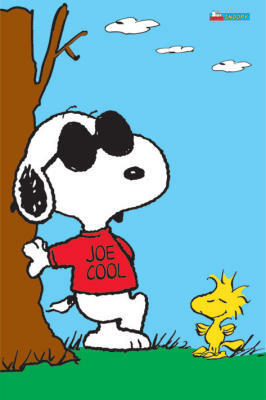 Of course, if you are not analyzing your coolness, you are cool! But I digress…coolness has nothing to do with a faith community…real-ness and authenticity do. I'm involved in the journey of a wonderful faith community now that just is what it is…full of people like this magazine article states – just real people. We don't do music as well as I would like, but that's OK because it is true to who we are as a community now…we are a community of broken people with transparent relationships…yes, we have our problems and our struggles but God has a hold of us and we are tracking His Spirit's life in and through us…so we are living as we can within God's grace and vision. Trust me, I like fog machines…I used to own one. I have several electric guitars that I can't play (for two reasons, one of which has to do with the number "11"…enough said!). Maybe there will be a day where our "cool" factor will go higher…it really doesn't matter. We'll just try to be more of ourselves…sing the songs and play music as best we can to God's glory…use some stuff for worship and teaching that is the best we can do with the gifts we have to offer to God…we'll just embrace the fact that Jesus loves us and we'll try to share that with any who will listen and within all the relationships in which we find ourselves. Dig? "People sometimes assume that because I’m a progressive 30-year-old who enjoys Mumford and Sons and has no children, I must want a super-hip church—you know, the kind that’s called “Thrive” or “Be,” and which boasts “an awesome worship experience,” a fair-trade coffee bar, its own iPhone app and a pastor who looks like a Jonas brother. While none of these features are inherently wrong (and can of course be used by good people to do good things), these days I find myself longing for a church with a cool factor of about 0. That’s right. I want a church that includes fussy kids, old liturgy, bad sound, weird congregants and—brace yourself—painfully amateur “special music” now and then. "…It may be that a new church was born last night (early this morning) in my kitchen. Whatever happens, we're calling it Church of Sinners. The name was my oldest son's contribution reminiscent of many of the ideas you sent in for a church marquee that would actually make people want to attend. 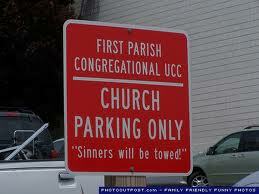 We think Church of Sinners might have strong possibilities. Much of what outsiders struggle with when it comes to church and Christianity is an imagined level of performance they assume is required of those on the inside. People think a certain behavior level is expected- a kind of incorrect thinking that keeps out the very people for whom the gospel of Jesus Christ exists. This is what keeps single moms away from church, even when they want to come and desperately need friendship and support. This is what keeps out gays and lesbians who are genuinely seeking God. This is what keeps out those who have had abortions, and the men who have caused them. Not to mention recovering addicts, ex-cons, the poor, the homeless, the mentally challenged. It's starting to look like the crowd that followed Jesus around when he was here – lepers, the deranged, demon possessed, the blind, the lame, and the social misfits. My favorite definition of the church comes from Robert Farrar Capon, Episcopal priest and student of the grace of God. In his understanding, the church is "a community of astonished hearts proclaiming the end of religion in Jesus" – "astonished," because they know they don't deserve to be in, and "the end of religion" because it is the end of all performance-based assumptions that have been built up around religion for years. The word for anyone outside needs to be acceptance not performance. And if it's sinners who hold the inside track on the church and the gospel of Jesus Christ, then all sinners are welcome. Who could feel bad about joining a group of other sinners? The only people who might not feel very good about joining the Church of Sinners would be those who don't think they are that sinful, but I know for a fact, there are plenty of other places that would be more than happy to have good people like them." A very interesting Forbes magazine article (or two) on the crumbling of seminaries…oh my! You can check out both articles on your own…I was going to give you simply the links to check out…but I started to think, one more click might be one more too many. So, I'm posting both articles (this author posted TWICE on this subject – brave man!) below. Seminary (in a traditional style) is a paradigm of ministry training whose time is past (since it is based primarily on pedagogies that are disconnected from learning styles and proven methodologies of training and equipping NOT to mention how it perpetuates a ineffective and heirarchically-based ecclesiology). In addition, as the author clarifies, the new economic realities of the 21st century make a traditional seminary education almost unattainable and financially "unwise." New paradigms are needed…experimentation and bold adventures in learning, mentoring, coaching and equipping servant leaders and mission-minded followers of Jesus are begging to be discovered. Fact is, there are some across the country that are trying new ways…usually while most denominational juristictions turn a deaf ear. Anyway, I'm not writing this to tell you MY opinion…I must admit, as a professor and pastoral leader, I don't have any definitive "answer" for this issue…I'm in community with a few others who are brainstorming new paradigms but that's for another post. For now, take a look at this…if you would like, post a thought or two! I'd love to hear what you think! In addition, incomes for late 20- and early 30-somethings with wife and child tend to be higher than the traditional undergraduate-age student, so the opportunity costs — meaning the lost earnings — are considerably higher. 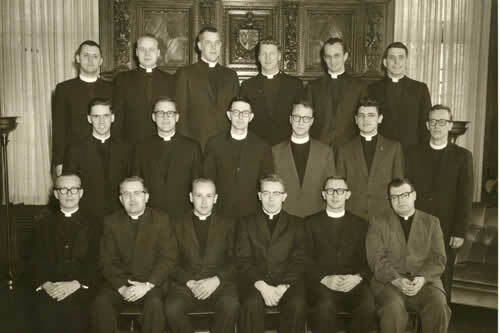 Father Geisler tells me that he commonly sees young men graduate from seminary $60,000 or $70,000 in debt with few employment options other than very low-pay youth minister positions. It’s often even worse for women in conservative denominational traditions in which female ordination is still controversial. And the prospects are worse clergy than for other forms of professional education, because there is no legal seminary requirement which stifles professional competition. If you go to medical school, you know you’ll have challenges in the job market, but at least you know you won’t be competing with non-medical school graduate physicians. Ditto for law school; it’s illegal to practice law or medicine without the requisite graduate schooling. Other professions, such as CPA and engineer, require at least the four-year diploma. Non-’professional’ church traditions didn’t have the luxury of indulging in ideological tourism. The ministers there live by the weekly collection plate. I’ve known scores of seminary students. Many have the natural leadership gifts to be pastors, but many do not. I’ve seen the ones who do not jumping through the bureaucratic hoops with a wife and children in tether, sacrifices made, poverty borne with grace, and then heartbreak. No pulpit, no job, except maybe a church planting opportunity with no start-up grant. The wives seem to suffer the most in these cases. My previous article, The Seminary Bubble, certainly hit a nerve—remarkably so, given that it appeared here at Forbes.com at the center of financial journalism and not one of the usual church discussion watering holes. Critics fell into one of three camps. Believe it or not, this was the most frequent criticism of my article, which tells me that things are worse than I thought. Liberal mainline seminaries appear to have turned into little gender police states whose denizens quietly tally your pronouns as you talk, calculating gender ratios. Pssst, for the record, I did acknowledge female seminarians in paragraph four of the original article. Evangelical women who attend conservative seminaries which feed into denominations which are hostile to women’s ordination are among the worst victims of the seminary bubble. It’s tough to see everything in an article when one’s line of sight is blocked by a chip on one’s shoulder. Does the fact that seminaries have succumbed to X chromosome/Y chromosome wars make them more attractive? It’s one thing to send me to a re-education camp; it’s something else entirely to try to charge me tuition for the experience. Another common criticism is that enduring the financial privations of a seminary education is somehow a spiritual obligation. Some argue that pastoral service is a calling and that the called must ‘take up the cross’ and follow Him. But every calling is a calling and I don’t see anyone arguing that career training in other areas ought to be rendered more expensive and burdensome than it needs to be. We don’t tell farmers not to use tractors because back breaking physical labor is spiritually beneficial. Sufficient unto the day is the trouble thereof: being a pastor is hard enough on its own; there is no need to tie heavy loads of debt onto the aspirants back and not lift a finger to help, all in the name of spirituality. Besides, where precisely did Christ call His disciples to seminary? Christ was not, Himself, a seminary graduate, nor did He establish an institution of higher learning. He certainly knew about such establishments. He grew up near a cultural center, the Hellenized city of Sepphoris. And almost certainly spent some of His formative years near an even greater center of Greek learning, the great library city of Alexandria (where else would one hide a little Hebrew boy in Egypt if not in the massive throngs of diaspora Jews?) He appears to have been not only a Hebrew and Aramaic speaker but a Greek and perhaps a Latin speaker as well. He quoted Aesop and Aeschylus. He knew about the Greek model of the Academy. But he chose the Hebrew rabbinical model of teaching: apprenticeship. Rabbi (and that is a title he answered to) Jesus walked around Galilee and Judea with followers in tow and partied with sinners, healed their ailments (material and otherwise), told stories, gave alms to the poor and answered his apprentices’ questions. He did, on occasion, engage in theological debates with the religious establishment, but typically only when they picked a fight with Him. Otherwise it was parties, stories, healings and alms. He built like no one had ever built before, through the hands of successive generations of the apprentices of His apprentices. Seminary came much later, when church life became much more about one kind of Christian (Catholic) fighting against another kind of Christian (Protestant.) Reformation and Counter-reformation formed theological armories from which the soldiers of the Protestant/Catholic Christian Cold War were armed. Eventually those wars calmed to the point of truce, or at least containment, but the armories remained. In our day many of those armories have been captured by neo-Marxian liberation theologians, racial identity demagogues, deconstructionists and Gaia worshipers on the ‘left’, and on the right by a new breed of denominational fanatics who seem to adhere to the inerrancy of their own particular ecclesiastical founding documents, from the Catholic Council of Trent to the anti-Catholic Westminster Standards and everything in between. My own denomination is in the midst of a massive schism, theologically fomented in one of our more conservative seminaries. And the graduates of those institutions have not liberated their churches with their trendy theologies, but rather deconstructed them. It’s time to go back to the original model: apprenticeship. I’ve been in seminary both as a student and as a teacher, but I’ve also followed my parish priest into hospitals and homes for visitations to the sick and the dying and assisted in the funerals. I would say that time spent in tow to an actual working pastor is vastly more valuable than time spent at school. Leading a grieving family through the 23rd Psalm while at the death bed of their loved one is worth more than a hundred hours of class time. Why, then, do we put classrooms in the middle of pastoral formation and apprenticeship at the edge? Habit. Some critics seemed to be under the impression that I thought that theology is not important. Nothing could be further from the truth. In fact, I think theology is so important that I’d like to see it taught efficiently, at low cost, to far larger numbers of people. There’s nothing particularly theological about a load of debt which is excessive relative to income prospects. I’m a supply-sider, who believes that a better system of theological instruction will produce more, not fewer theologians. Theological education does matter a great deal, so get some – for free. Here’s a good course on systematic theology on I-Tunes. Here’s doctrine of God. You want church history? You got Church history right here. Those courses are from the Calvinistic tradition. The Lutherans have some great material for learning Biblical Hebrew here, and Biblical Greek here. The Baptists also have some great courses on Greek. Here’s a tutorial on Aramaic, the language that Jesus would have grown up with. Apart from the pulpit, the work of a pastor is largely a matter of weddings, funerals and visitation of the sick. I’m a little biased, but the Episcopal Book of Common Prayer has all that stuff laid out in detail: what to say and what to do. Here’s a free on-line version. For study of the Scriptures, the Net Bible is a great, free search tool. My daughter has been working her way through a course on the theology of C.S. Lewis, who is probably the most popular Christian writer of the 20th Century; enjoy it here. For cutting edge (but not trendy) insights in New Testament studies, here’s the web page for N.T. Wright with loads of text, audio and video. Want to run a meeting? Seminary doesn’t teach it, but Robert’s Rules does here. In the battle to renew and rebuild the wobbling edifice of the Church in the 21st century, I’d put my money on the 30-something apprentice with an iPod, some business experience and a day job over the 20-something with a piece of paper and a huge load of debt every time.